A few glimpses of our past events. The Enterprise Demo Day 2017 marked a successful completion of the third batch of the business accelerator program. 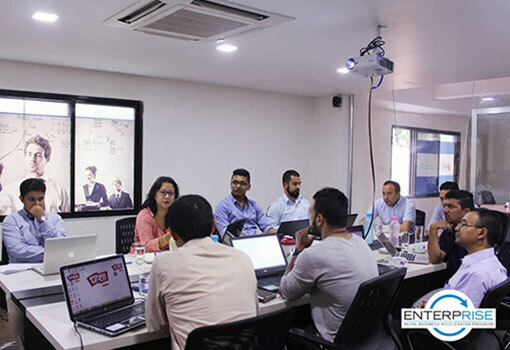 The Demo Day was an ideal platform for the third batch of participating companies to present their final investment pitches to investors and interact with the stakeholders of the Nepalese Entrepreneurial Ecosystem. This program would not have been possible without the support of mentors, instructors, sector specific experts, senior entrepreneurs, investors, professional firms, program partners, TNA partners, the five participating companies and the Enterprise team. 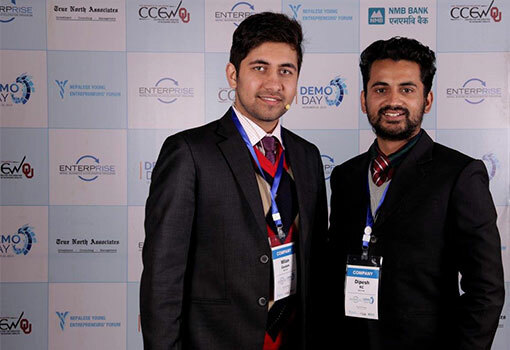 The Enterprise Demo Day 2016 marked a successful completion of the second business accelerator program. 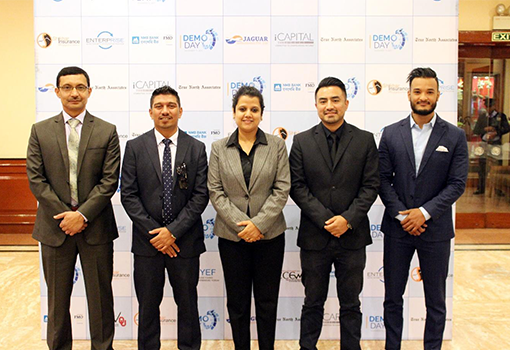 The Demo Day was an ideal platform for the second batch of participating companies to pitch to investors and to interact with the stakeholders of the Nepalese entrepreneurial ecosystem. This program would not have been possible without the support of mentors, instructors, sector specific experts, senior entrepreneurs, investors, professional firms, program partners, TNA partners, six participating companies and the Enterprise team. 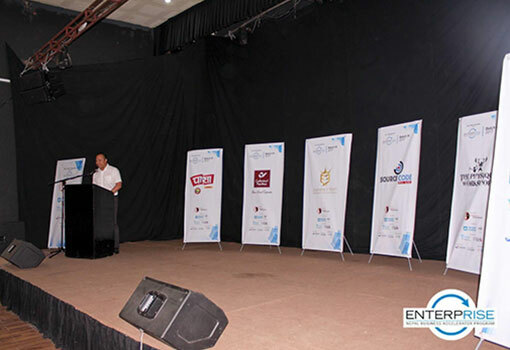 The Enterprise Demo Day 2015 marked a successful completion of the first business accelerator program. The Demo Day was an ideal platform for the first batch of participating companies to pitch to investors and to interact with the stakeholders of the Nepalese entrepreneurial ecosystem. This program would not have been possible without the support of mentors, instructors, sector specific experts, senior entrepreneurs, investors, professional firms, program partners, TNA partners, participating companies and the Enterprise team. Mr. Dip Prakash Panday, CEO at Shikhar Insurance, talked about different types of insurance products that can be used by the entrepreneurs to hedge the risks associated with their respective ventures. He also answered various queries of the participants and simplified the practical aspects related with insurance. 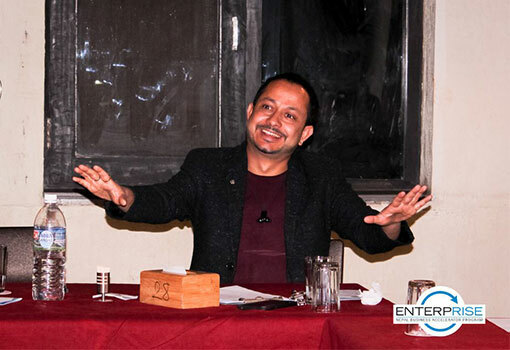 On 23rd October, 2017 (Monday), Mr. Ravi Mainali, an avid Toastmaster and a public speaking coach, talked about the various ways to effectively present and attract investors to invest in their companies. He also shared his insights on the mental models that one can use to prepare oneself before the presentation. The session also touched upon perspectives of different investors and the need for companies to address their requirements. 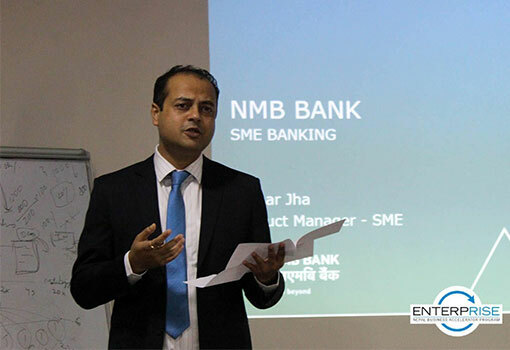 Mr. Tushar Jha, Product Manager-SME at NMB Bank, talked about the various facilities provided by banks to entrepreneurs and shared his insights on various sources of funds available and how an entrepreneur can effectively allocate such funds. On 25th October. 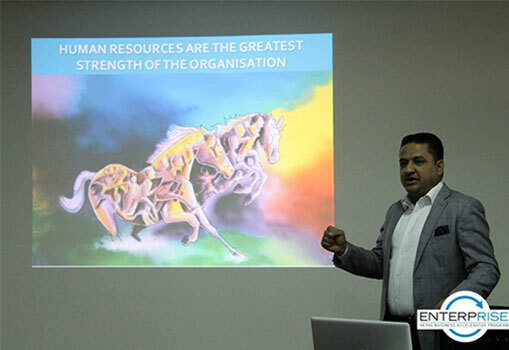 2017 (Wednesday), Mr. Shailendra Raj Giri, MD at merojob.com, talked about Leadership and also emphasized on the need to set a culture that is complimentary to the vision of an organization. He shared his personal experiences and highlighted on the importance of investing on Human Resource in an organization. The session discussed on challenges in Hiring and Retaining employees; and ways the companies can overcome these challenges. 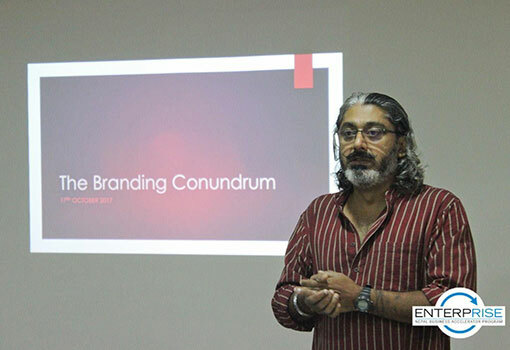 On 17th October, 2017 (Tuesday), Mr. Harshwardhan Vira Shahani, Founder of V-Chitra, helped the participants identify what their brand story was and helped them build the brand story. Mr. Shahani further highlighted the importance of the brands to redefine the experience and to provide relevant solutions for creating a loyal following. On 12th October, 2017 (Thursday), Mr. Sabal Chandra Shah, MD at Garud Securities, talked about how a company should manage its employees and the need to effectively communicate the belief and the values of the company. 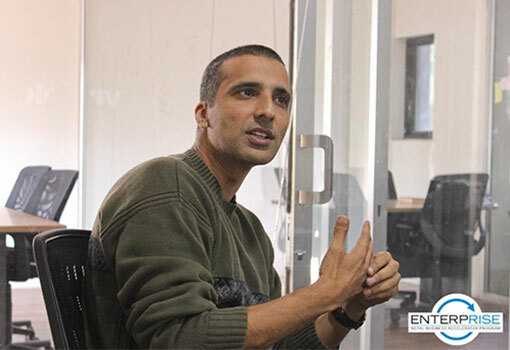 He shared his own experiences and insights on recruiting people, installing accountability, incentivizing, and the problems that companies face with regards to Human Resources when scaling up. 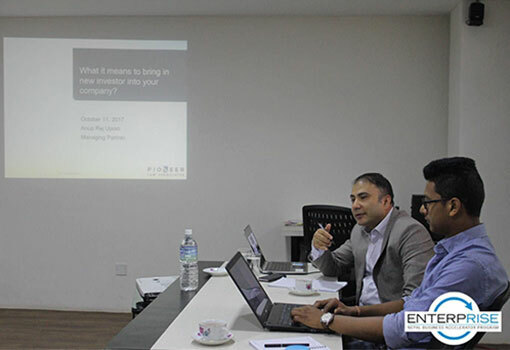 On 11th October, 2017 (Wednesday), Mr. Anup Raj Upreti, Managing Partner at Pioneer Law Associates, discussed the legal aspects of bringing in investors in the company. He talked about the different processes required before any investment from term sheet and MOU to pre closing conditions, reserved matters, stand still provisions, etc. He also talked about the necessary changes that would be essential to implement once investors come into the company and discussed about the different exit options as well. 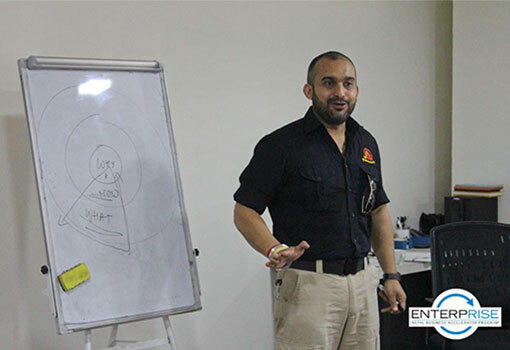 On 5th October, 2017 (Thursday), a guest session on Innovation was conducted by Dr. Rahul Mirchandani, Executive Director at Aries Agro, where he talked about the fundamental elements of Innovation and the need to understand the habits of targeted customers, where the product can be placed to incorporate on their habit pattern. He also described an important too; The Sandbox of Innovation; which allows an Entrepreneur to access their product model. The session was concluded by discussing the “Go to Market Strategy” process, which covers all grounds to deploy the product into the market. 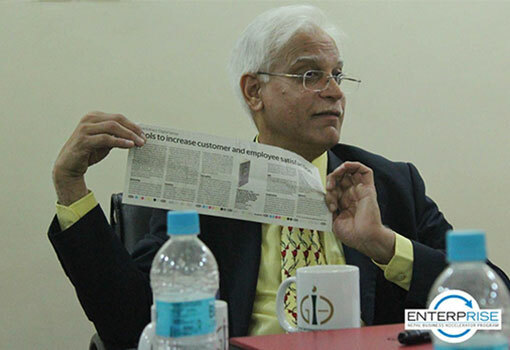 On 22nd September, 2017 (Friday), Dr. Ashok Vardhan Chordiya, CEO at Grande International Hospital, conducted a session on Service Quality and Service Marketing Gap where he shared his valuable insights on the different measures that are necessary to ensure the delivery of quality to the customers and emphasized the importance of creating an end-to-end SOP and empowering the employees. 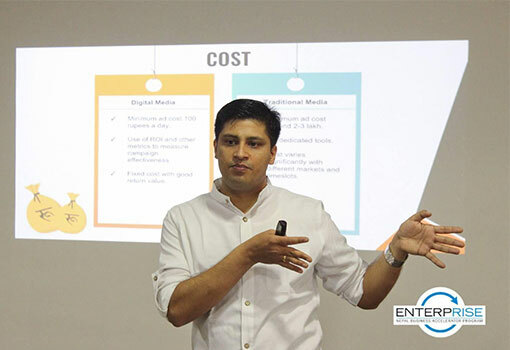 On 20th September, 2017 (Wednesday), Mr. Amod Niroula, Co-Founder at ACT 360, conducted a session on “Leveraging Digital Marketing” for the Batch III participants at Enterprise where he shared his insights on the different channels through which companies can market to reach the relevant target market for the most optimum ROI on their marketing investment. On 18th September, 2017 (Monday), Mr. Mahendra Shrestha, Marketing Manager at Sujal Foods, conducted a session on “Developing a Marketing plan” where he highlighted the importance of creating a strategy by identifying the problems and opportunities in a market and using it to prepare a marketing objective. The session centered on strategic positioning of the product where various examples from different context were taken to simplify the process of creating a marketing plan. On the 14th and 15th of September, 2017, a session was conducted on “Strategy Development and Implementation”, which was facilitated by Mr. Niranjan Shrestha, Executive Director at Laxmi Group. The session focused on identifying internal strengths and weaknesses as well as opportunities and threats to develop strategies to properly address your customers and stay ahead of the competition. On 11th September, 2017 (Monday), a panel discussion was conducted on The Basics of Fundraising. The participants got the opportunity to ask queries regarding fundraising to the panelists where they received invaluable suggestions from both the investors and companies perspectives on how to make a company ready for investment. 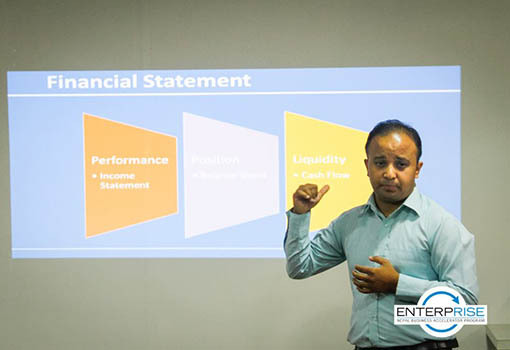 On 6th September, 2017 (Wednesday), Mr. Arpan Khanal, Investment Manager at True North Associates, conducted a session on “Financial Modeling and Valuation” where he talked about the different methods of valuation and shared his insights on what investors look at before investing in any company with real life examples of deal making and fundraising. 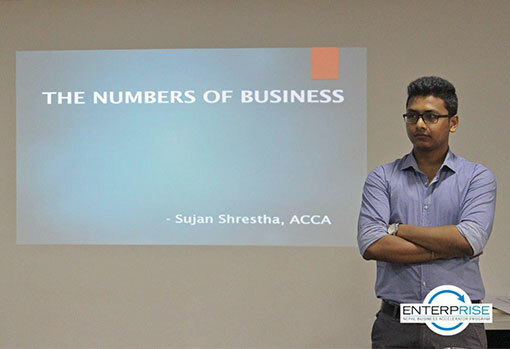 On 4th September, 2017 (Monday), Mr. Sujan Shrestha, Finance Officer at True North Associates conducted a session on The Numbers of Business” where he dealt with different topics such as cost accounting, analyzing financial statements and the issues relating to billing and payment. 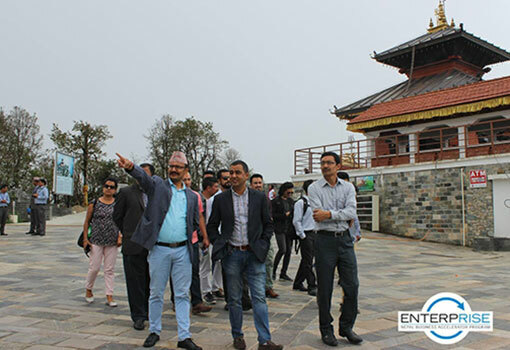 On 1st September, 2017 (Friday), a guest session was organized on Scaling Business at Chandragiri Hills where Mr. Hem Raj Dhakal, MD at IME Group, shared his insights on the various challenges an entrepreneur faces and stressed on the importance of hiring the right team and creating structured processes and protocols in the process of scaling up businesses. 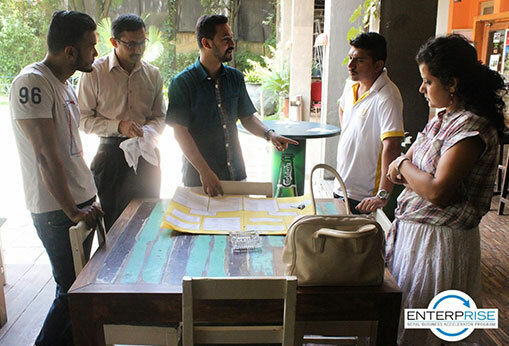 On 28th August, 2017 (Monday), a feedback session on the BMC canvas was conducted where the Enterprise Team helped the participants further fine tune their BMC. On 25th August, 2017 (Friday), the entrepreneurs got an opportunity to interact with Mr. Anil Chitrakar on Unleashing Markets where he talked about the importance of knowing the market and asking the right questions before making any decisions in a business and overcoming the imposed limitations. 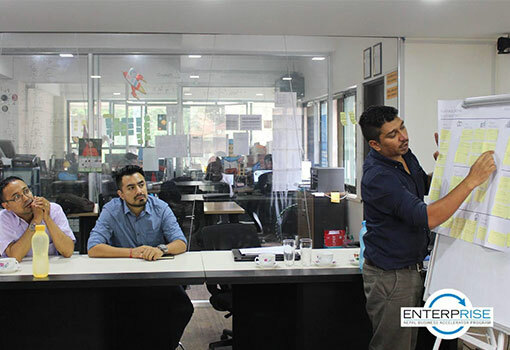 Mr. Sanam Chitrakar, Partner at Biruwa Advisors and Mr. Bibhusan Bista, CEO of Young Innovations conducted clinical sessions of the Business Model Canvas at Enterprise for the Batch III participants where they helped the companies explore the different elements of their business model and provided their insights on fine tuning the participants Business Model Canvas. On 21st August, 2017 (Monday), Mr. Pavitra Gautam, CEO of Karkhana conducted an introductory session on the Business Model Canvas. 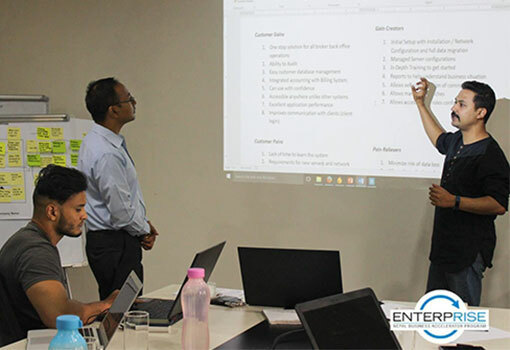 The session was a hands on experience that involved creating a BMC of dummy companies in order to understand the intricacies that goes behind creating a successful business. The participants deepened their knowledge on value proposition for deciphering the underlying need of their customers. On 18th August, 2017 (Friday), Mr. Sohan Babu Khatri conducted a feedback session of the Value Proposition Canvas to the Batch III participants where he helped them review their canvas and provided the necessary feedback to further refine it. On 16th August, 2017 (Wednesday), a research workshop was organized by Ms. Juna Mathema, Co-Founder at Blitz Media, where she dealt with the overall research process. The workshop involved active participation of the companies on identifying their research objective and the process of meeting the objective. She also talked about the importance of creating a timeline of the entire research plan and the relevant time period to conduct the research. On 6th August, 2017 (Sunday), a workshop was conducted at Moksh on Customer Centered Value Proposition Design by Mr. Sohan Babu Khatri, CEO of 3H Management, where he talked about the importance of businesses identifying the “Problem-Solution Fit” and the “Product-Market Fit” while also analyzing the scalability of the businesses. He further shared his insights on how businesses can successfully design their value proposition as per the different identified customer segments. 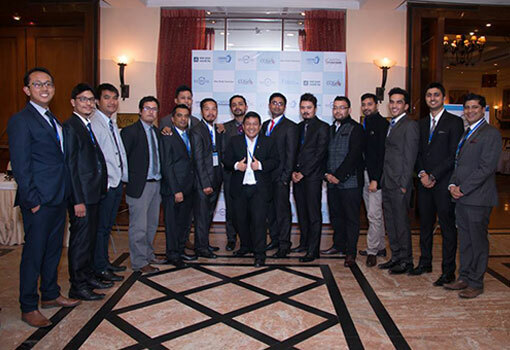 A Welcome Dinner was hosted for the Batch III participants by the Enterprise program where the companies were introduced to a selected crowd of investors, mentors, instructors, partners and the different stakeholders of the Nepalese Entrepreneurial ecosystem. 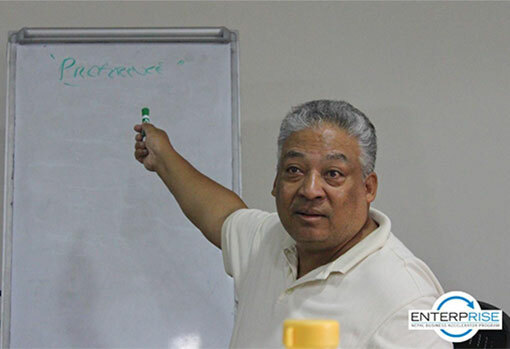 On Nov 16, Mr. Ravi Mainali, an avid Toastmaster, public speaking coach and Relationship Manager at Laxmi Bank helped Enterprise company founders refine their presentation skills. 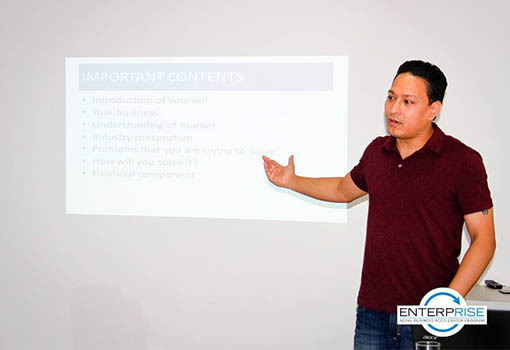 On Nov 21, Mr. Mainali provided feedback to the Enterprise participants to help improve their investment pitch for the Enterprise Demo Day. Our Banking Partner, NMB Bank hosted an interaction meeting with the Enterprise Batch II Companies. 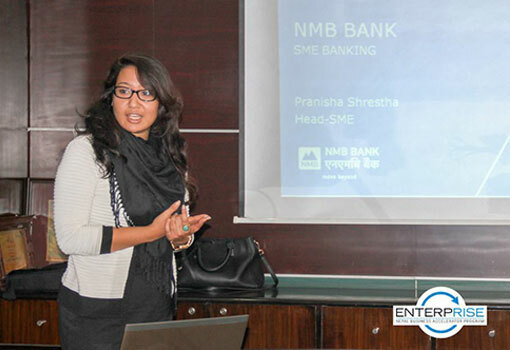 Ms. Pranisha Shrestha, Head of SME at NMB Bank, talked about the different services that are available for Small and Medium Size Enterprises and Startup Companies. The participants also put forward their queries regarding bank services and the banking system in a fruitful discussion. 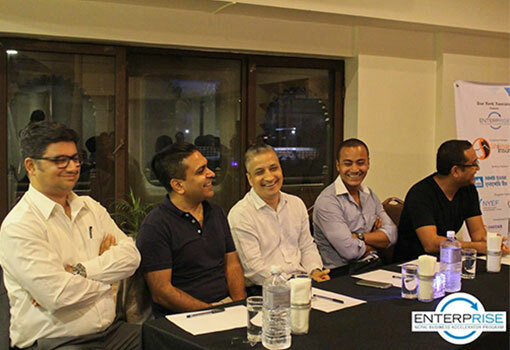 On November 15, Assets Nepal hosted a dinner for the Enterprise participants at Embers Restaurant. 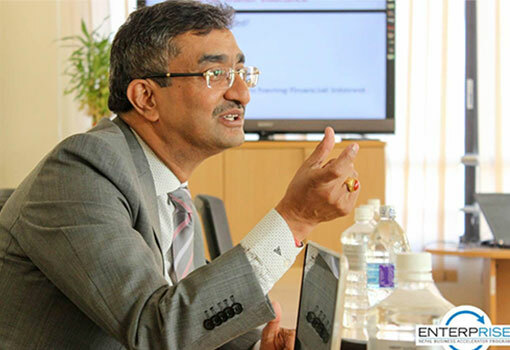 During the dinner function, Professor Dinesh Chapagain, a renowned name in the global quality circle, spoke on the Kano Model and helped companies look within to deliver exceptional quality products and services. Professor Chapagain also explained the concepts of attractive quality as innovation in research and development in products and services as well as the methodology for identifying the voice of customers. 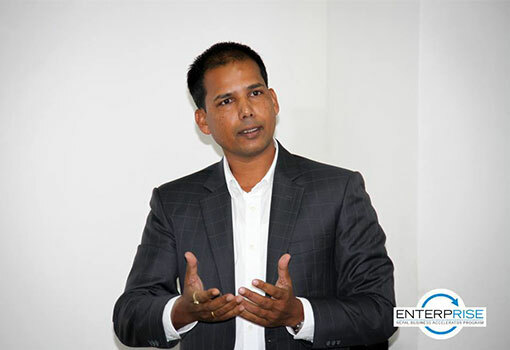 Mr. Mahesh Mahato, Managing Director of Cosmic Electrical Engineering Associates, and experienced public speaker, helping Enterprise participants perfect their business pitch. 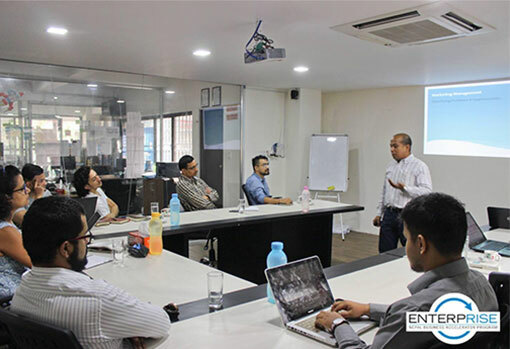 Mr. Arpan Khanal, Investment Manager at True North Associates dedicated a session on ‘Finalizing Company Valuation and Investment Proposal’. He dealt with the issues that the companies were experiencing with their company valuation and determining the capital that they would require to raise. 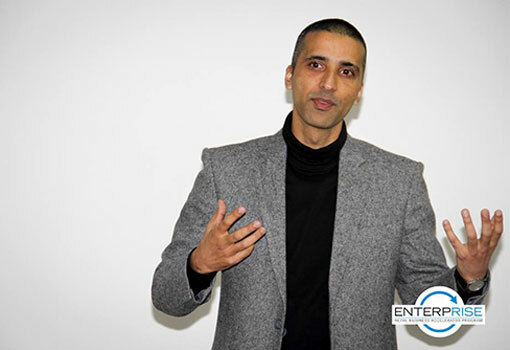 Mr. Manish Jha, Managing Director of Cosmic Electrical Engineering Associates, and experienced public speaker, helping Enterprise participants perfect their business pitch. 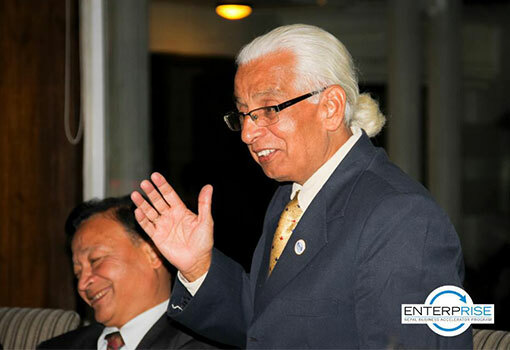 On Nov 4, Mr. Chetan Bhandari, Chairman of Bajeko Sekuwa, hosted a dinner program for the Enterprise participants. During the program, Mr. Bhandari spoke about his entrepreneurial journey and shared his experiences on overcoming obstacles faced while scaling his business and challenges faced during franchising. 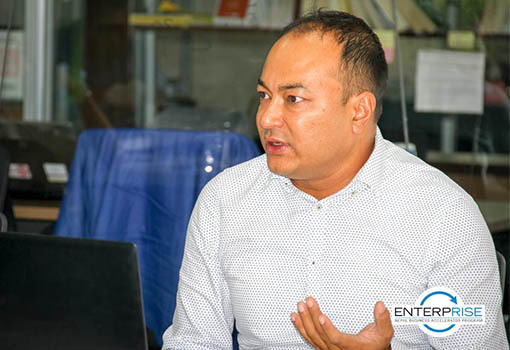 Mr. Anup Upreti, Managing Partner at Pioneer Law Associates, helping companies understand the legal components of equity investment in Nepal. He also talked about the legal processes and directives that companies need to focus on when bringing in investors. Mr. Prakash Khatri, Chief of Product and Service Delivery at Mercantile Group discussing problems faced by businesses while incorporating their business needs into the technological structure of the company. 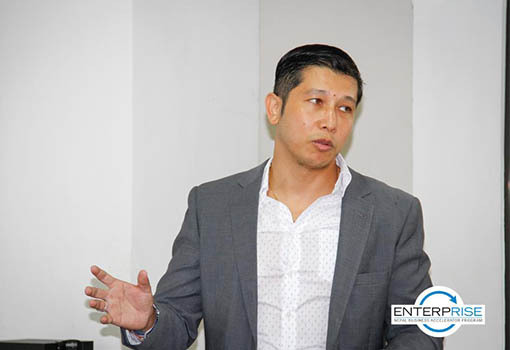 He also shared his insights on how businesses can successfully integrate people, processes, and technology. 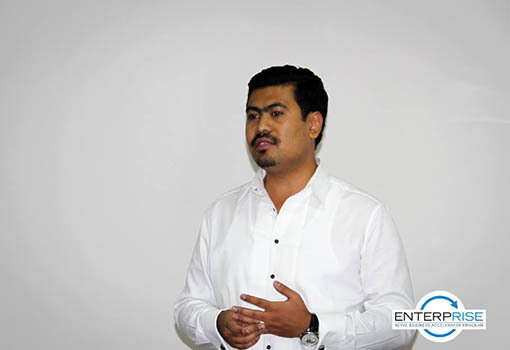 Mr. Bibhusan Bista, CEO and Co-Founder of YoungInnovations Pvt. Ltd., sharing his experience on HR Management and Company Culture. 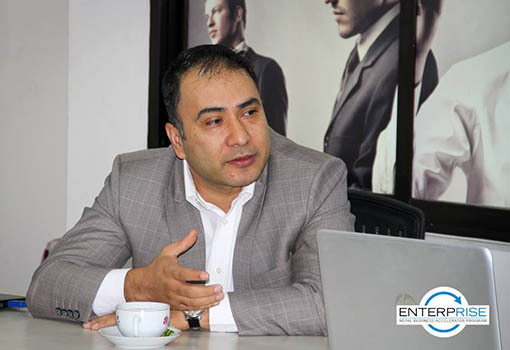 He discussed ways of effectively managing a company’s HR to improve internal work efficiency. 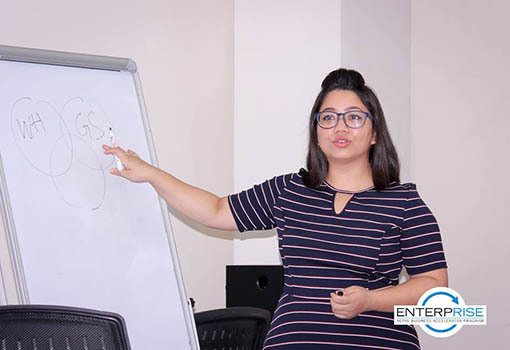 Ms. Euden Koirala, Head of Operations and Service Excellence at Laxmi Bank, talking about SERVQUAL: Managing Service Quality & Service Marketing Gaps with Enterprise participants. 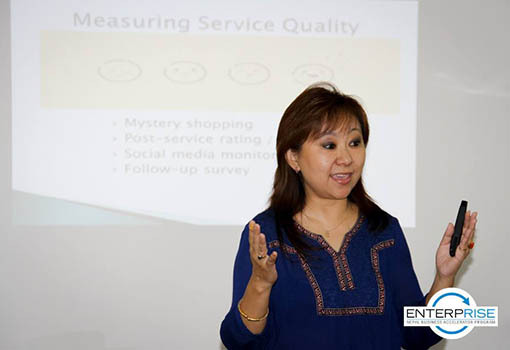 She shared insights on improving the customer/client experience. 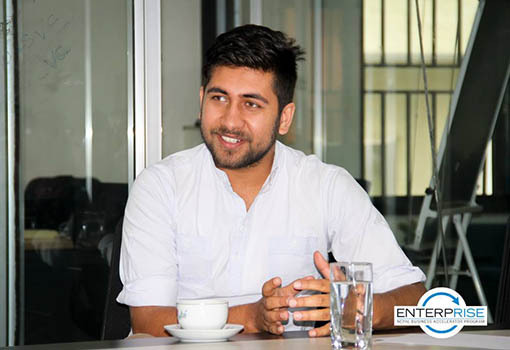 Mr. Nishant Shrestha from Avid Investment and Services sharing his experience on business and mall management. He also talked about Gap Analysis for firms in Nepal. 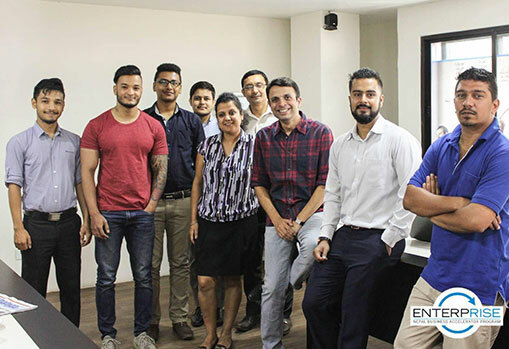 On Oct 17, the Enterprise participants had an interaction session on Raising Capital with Mr. Atulya Pandey, Co-founder & COO of PageVamp, and Mr. Milan Gautam, Founder & CEO of SparkTech. 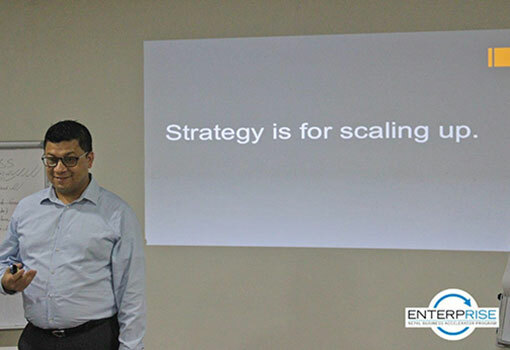 Milan shared his experience on how bringing in a strategic partner into his business helped him scale up. 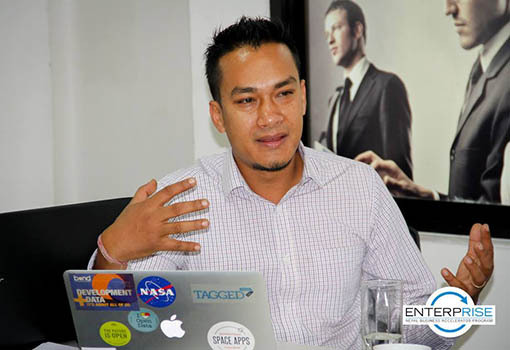 Atulya talked about his experience on raising a series of funds for his business based in the United States. This gave the participants an insight on effectively raising capital. The Enterprise participants had two sessions with Ms. Mahima Shrestha, Head of PR & Media at MOP Communications. During the sessions, Ms. Shrestha talked about the importance of communicating with your audience and how to do so effectively. 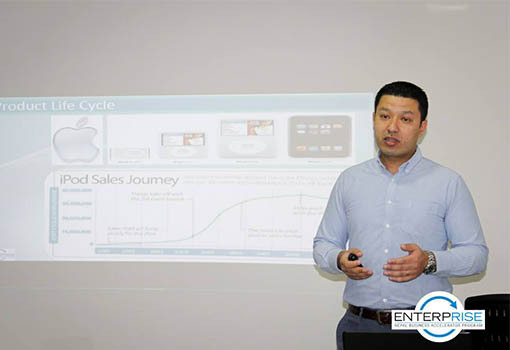 The two sessions also included methods of how to differentiate yourself from competitors and finding platforms to reach your desired customers. Mr. Ashesh Rajbahak from GP Rajbahak & Company conducting the session on Working on Company Valuation & Exit Options. 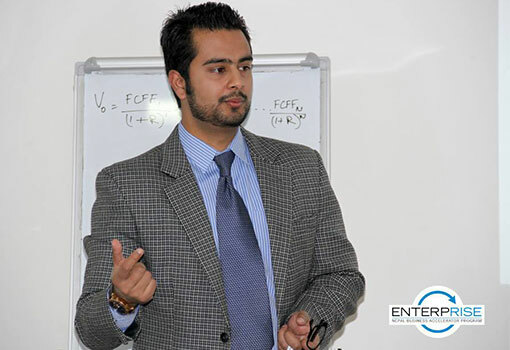 Mr. Ajay Shrestha, Enterprise Program Director, conducting a session on Elevator Pitch. The session introduced participants to the fundamental aspects that need to be considered when presenting an elevator pitch. Mr. Ranjeev Shrestha, Partner at G.P Rajbahak & Company, conducting a session on Valuation Principles. 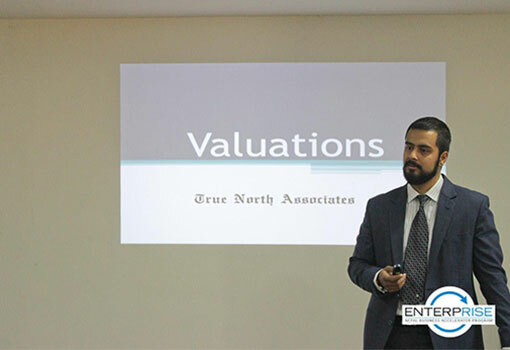 The session focused on various methods and processes involved in carrying out a company’s valuation. 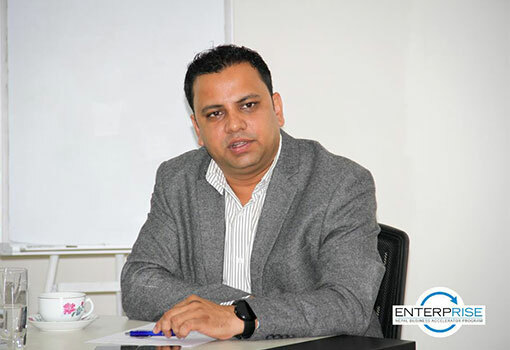 Mr. Abhaya Poudel, Director at Biz Serve Pvt. Ltd., conducting a session on Finance for Non-Finance Executives. This session covered the basic financial aspects essential for a company to manage their revenue and expenses.